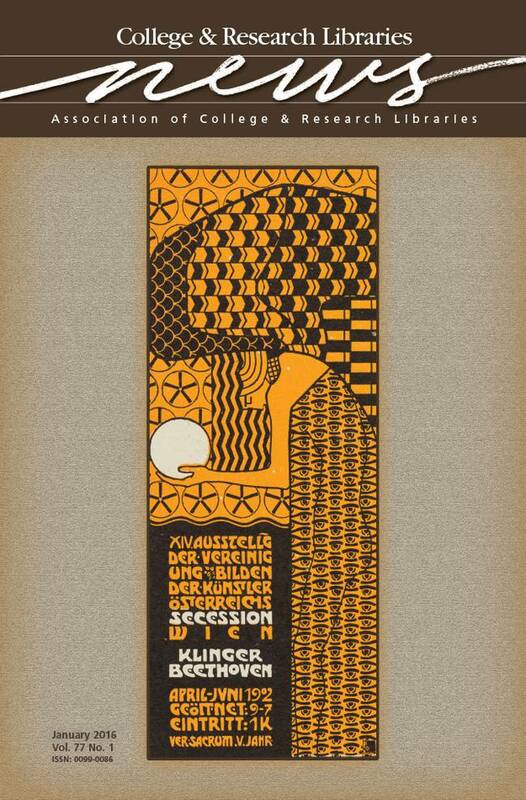 This month’s cover features an image from the cover of Vienna Secession exhibition catalog XIV. Ausstellung der Vereinigung bildender Künstler Österreichs Secession Wien: Klinger, Beethoven: April–Juni 1902. Published in 1902, the image was created by artist Alfred Roller (1864–1935). Held at the Frick Art Reference Library, the catalog was digitized as part of a digital project to coincide with Carnegie Hall’s 2014 Vienna: City of Dreams festival. The project featured an online exhibition entitled “‘This Kiss to the Whole World’ Klimt and the Vienna Secession.” Theproject was created by The New York Art Resources Consortium, a collaboration between the libraries of The Frick Collection, Brooklyn Museum, and The Museum of Modern Art. More information is available at http://secession.nyarc.org/.